Some 2,000 people took part in a rally against the handover of St. Isaac’s Cathedral to the Russian Orthodox Church. Protesters fear the Church will not maintain the public museum function of the iconic building which is a popular tourist attraction. “Nearly 2,000 people have taken part in protests at the Field of Mars. There have been no incidents reported at the rally so far,” a spokesperson for the Interior Ministry in St Petersburg and the Leningrad region said, as cited by TASS. The rally was not officially sanctioned, as the site was already reserved for another action. The organizers, however, said the anti-handover gathering was in the legally-allowed format of a meeting with local MPs. Some people were seen wearing blue ribbons as a sign of their disagreement with the decision made by St. Petersburg administration. However, a few dozen people showed up for a counter-protest in support of the Russian Orthodox Church. The decision to hand over St. Isaac’s Cathedral to the Church, announced in early January, has split Russian society triggering hot debates. 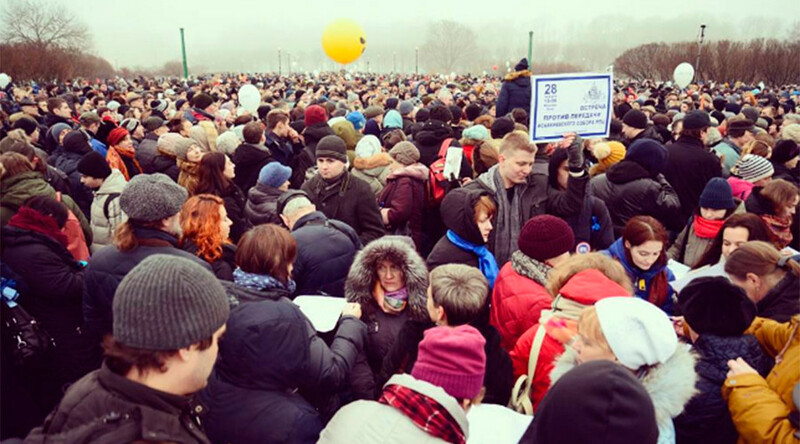 A smaller protest that took place in St. Petersburg on January 13 was attended by several hundred people. St. Isaac’s, which is a UNESCO heritage site as part of the Historic Centre of St. Petersburg, has been run as a public museum since 1931. More than 200,000 people have signed an online petition against the handover. It lists concerns related to the maintaining of the cultural heritage site, which is in need of costly restoration works, the fate of museum exhibits, including a rare Foucault pendulum, and general fears that the cathedral, visited by over 3 million tourists a year, could lose its museum function due to anticipated restrictions. However, Russian Orthodox Church officials have maintained that the cathedral will not only continue its museum functions, but even improve them. The Church previously requested for the building to be transferred in 2015, but that request was turned down by the St. Petersburg administration. St. Isaac’s Cathedral was founded in 1818 on the order of Tsar Alexander I in place of the older cathedral with an unpopular design. French-born architect Auguste de Montferrand oversaw the construction, which lasted for 40 years and cost a whopping 23,000,000 silver rubles.